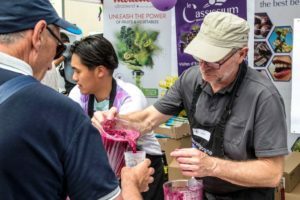 This blackcurrant smoothie recipe of the Best of Cassis Smoothie contest 2017 is made for athletes. It will boost your performance and recovery. 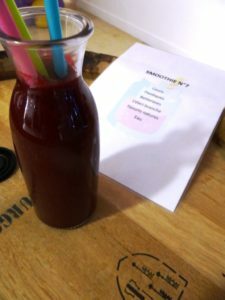 The participants of the contest had to use blackcurrant concentrate in their recipes. You may, of course, not be able to buy this in a shop. But blackcurrant concentrate is nothing more than what it says: concentrated blackcurrant juice. You can simply replace it with the double of the amount of pure blackcurrant juice. Keep in mind: pure blackcurrant juice does not contain any added water or sugar! Mix well all the ingredients in a blender for a healthy energy drink. You can also serve it as a cold soup, with a pinch of pepper for taste.